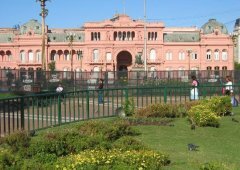 We start our trip in the historical area of the city at Plaza de Mayo (where the history of Buenos Aires begins) and pass by Casa Rosada, Cathedral, El Cabildo, etc. You will be surprised by its architecture. 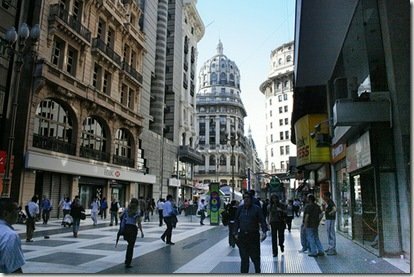 From there, we go to the oldest neighborhood in Buenos Aires, San Telmo. 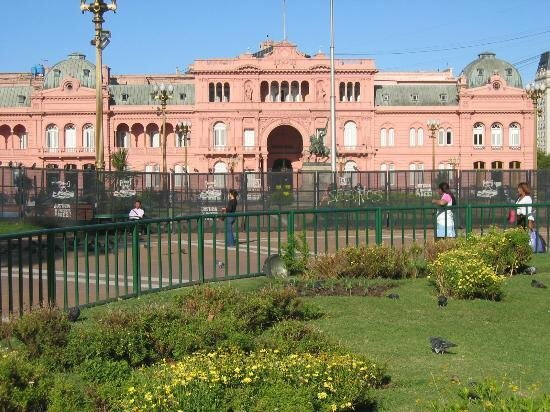 While we have coffee in Plaza Dorrego, we will see tango shows and all kinds of antiquarians. Continuing to the south, we will arrive in the traditional La Boca district, which is next to the old docks. It shows the influence of the Italian immigrants, especially from Genova. 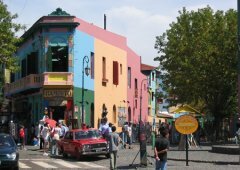 We take a walk through the pittoresque Caminito Street, full of local colors. 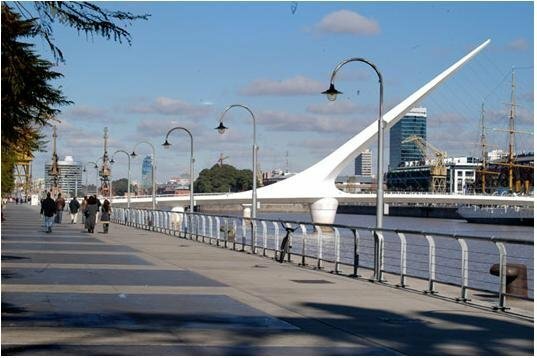 From there, we go to the modern Puerto Madero that combines excellent restaurants, hotels, culture and design. Recoleta, the next point of attraction, is the best place if you are interested in culture and design. It is one of the highest areas of the city that preserved its French style. Visit: Buenos Aires Design, Nuestra Señora del Pilar church, Recoleta Cemetery. 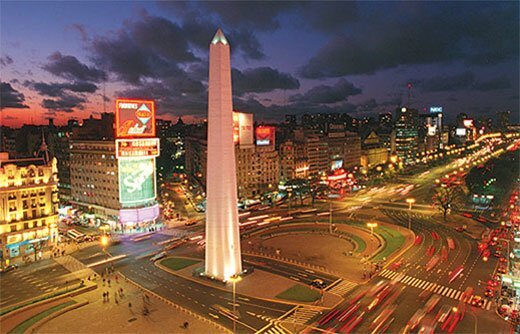 At the end of the tour, sitting in Recoleta, we will enjoy the typical Argentinean drink, the MATE. We will have the opportunity to get to know its history, different kinds of mate, the meaning, etc. We will drink the mate accompanied by homemade bread with the typical "dulce de leche". The amazing and high level Tango Show starts after an excellent dinner is served and takes place in an old theatre with a very "porteño" atmosphere. Going back in time to the year 1900, you can feel the real "tango". You will see an excellent artist show, with a live band and performance. 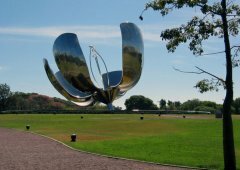 The dinner is the most delicious Argentinean food and is accompanied by excellent champagne and wines form one of the most prestigious winery. 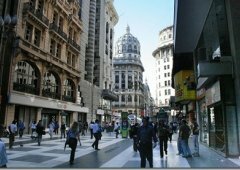 We would show you the best places for shopping in Buenos Aires. The guide would take you on a shopping day in the safest and most comfortable way, on our exclusive vehicles and with the assistance of our experienced guides. Buy directly to manufacturers or in outlets with promotional prices. Visit the biggest shopping malls and the most prestigious boutiques places of the city and profit by the greatest sales with the help of our professionals so that you don’t waste time. We depart outside Buenos Aires, to enjoy a real “gaucho” experience. 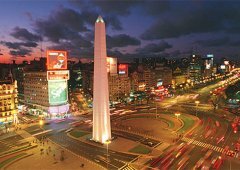 You will taste the typical argentinean food, like, empanadas, parrillada, wine, etc, and also view a folk show. In the afternoon, you will have the opportunity to drink mate with pastelitos very popular in the country side.